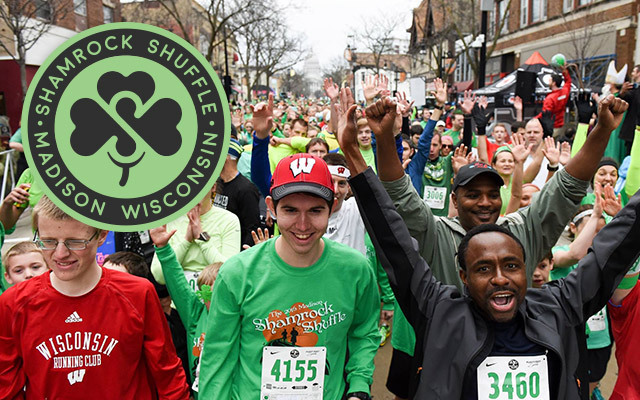 The Madison Shamrock Shuffle is scheduled to run every year around St. Patrick’s Day, coordinating with The Madison St. Patrick’s Day Parade and other events celebrating this yearly ritual. Every year, The Madison Shamrock Shuffle raises thousands of dollars that benefits Boys & Girls Club of Dane Country. To date, you’ve helped raise over $250,000! Thank you to all past & future participants! Location: the intersections of Frances St. and State St.
All participants will receive a commemorative long sleeve event T-shirt* as well as other perks to being announced soon. Aside from event production cost, all additional proceeds go to Boys and Girls Club of Dane County! *Note: only those registered before February 28, 2019, are guaranteed a shirt and the correct size. We will attempt to get shirts and proper sizing for those after the deadline however due to production time you may not receive the proper size or a shirt at all if you register after February 28, 2019. Really want to get in the spirit of St. Patty’s Day? Customize your shirt! Find the custom shirt area by the start/finish line where our partners over at Madison Top will customize your shirt with a choice of 4 amazing options! Try Your Luck In These Raffles! Searching for a pot of gold at the end of a rainbow? No need to look any further! 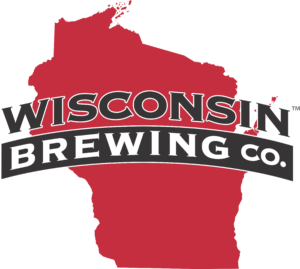 If you win, the first 50% will go towards the Boys & Girls Clubs of Dane County and the last 50% of the funds will get to leave with you! Don’t miss your opportunity to strike gold! To make sure you have the best experience possible, make sure to bring your QR code to packet pickup for faster pickup! 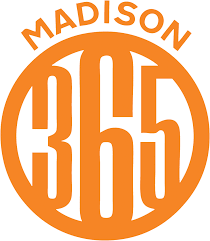 Interested in helping out Boys and Girls Club of Dane County? There are many volunteer opportunities available for Shamrock Shuffle on Friday, March 15th and Saturday, March 16th. The race is capped at 5,000 runners. When we reach that number, we will no longer take any more entries. This is an ALL ages event. There will be awards given for the winner of each male and female age groups. Awards will be mailed to all winners within two weeks after the event. We have a strict NO REFUND policy. Refunds will not be issued for any reason, including race cancellation due to inclement weather. The race director reserves the right to cancel or alter the race and its course at any point in time to preserve racer safety. If you would like to switch races, you can do this through your registration link.